Adding outdoor lights in San Jose to the porch in your backyard can help to create a more interesting and enjoyable environment, and energy-efficient bathroom lighting is helpful when it comes to saving money and protecting the environment. However, some people are unsure of which types of light bulbs they should use to most effectively serve these purposes and enjoy lasting results. Read on if you would like to find out why LED lights are better than incandescent bulbs. LED lights and incandescent bulbs create light in two different ways, and these varying methods lead to differing pros and cons for each. 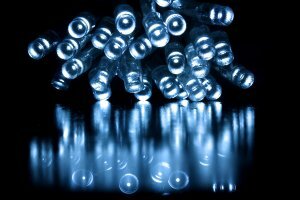 Incandescent light bulbs depend on electricity to heat a filament, which lights up when it becomes hot enough. The necessity of producing heat and light at the same time causes incandescent bulbs to waste a great deal of energy by creating unnecessary heat. LED lights, on the other hand, make use of a semiconductor in order to manipulate electrons. This process keeps LED lights cool and allows them to create light for much longer periods of time; they are also advantageous in that they require less energy to do so. Well-planned lighting in San Jose can dramatically alter the feeling and aesthetic appeal of a room, whether it is your kitchen, bathroom, or living room. While many people do not give bathroom lighting a second thought, a change in design can enhance an area where you spend some amount of time every single day. Keep reading if you would like a few tips on choosing the right lighting fixtures for your bathroom. There are a few different factors that go into choosing lighting fixtures for your bathroom, and your purpose will help to identify the proper type of lighting for your needs. You may want to accent a certain area of your bathroom that you think boosts the aesthetic value of the room, or you may be focused on more practical purposes . Vanity lighting tends to be among the most important aspects of bathroom lighting because it illuminates the area in front of your mirror, which is typically where you will stand when you engage in your morning or nightly activities. It helps to see yourself while you brush your teeth or apply your makeup, so avoid casting shadows on yourself with your lighting; instead, consider placing lighting fixtures on either side of your mirror for the best view. While the bathroom is primarily a place of purpose, this does not mean that it cannot also provide a sense of luxury. Working with multiple layers of light can help you relax and rejuvenate in your bathroom as well as enhance the time you spend enjoying your personal space. Additional lighting fixtures can also be useful if your bathroom is lacking in windows that allow natural light to enter the space. The right lighting fixtures may not only enhance the purpose and atmosphere of your bathroom; they may also optimize your energy efficiency. Unlike fluorescent and incandescent light bulbs, LED lighting fixtures can last up to several decades without requiring replacement. Additionally, they are energy-efficient and can save you money on your monthly bills; this makes them well worth the investment. Your bathroom lights in San Jose help you to see yourself clearly when you stand in front of your vanity, highlight certain areas of your bathroom, and enhance the atmosphere of your living space. 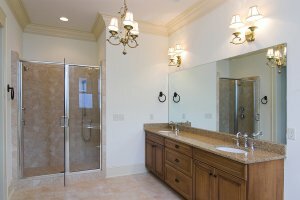 If you want to enjoy optimal bathroom lighting, however, it is important to keep your fixtures clean. Watch this video for some tips on cleaning your bathroom light fixtures. While your bathroom light fixtures can improve your bathroom by illuminating the space, they can also add an inherent aesthetic boost when they are kept clean and presentable. Lighting fixtures are susceptible to dust, spider webs, and other types of buildup that can inhibit their shine and reduce their visual appeal. Make sure your lights are off when you are cleaning your fixtures in order to prevent injury, and simply use a cloth to wipe down each light fixture and alleviate any dust, debris, or blemishes. If you are seeking a long lasting and energy conscious lighting solution for your home, you may want to consider making the switch to LED lighting . Unlike conventional lighting fixtures, LED lights require very little energy and can last for many hours before they require replacement. From outdoor lights to kitchen light fixtures and more, there are limitless possibilities when it comes to LED lights for your home. A company offering outdoor lights in San Jose can provide you with more information about choosing LED lights. To help you get started with your decision, here are the answers to some commonly asked questions about LED lights. 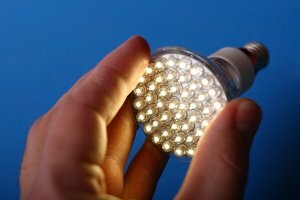 Can LED Lights Be Used In Place of Conventional Bulbs? If you are thinking about installing LED lights in your home , you may be wondering whether these lights can be used in place of conventional light bulbs. In fact, LED lights can be used virtually anywhere that you would install traditional lighting. For example, LED lights are approved for both indoor and outdoor uses. Do LED Lights Offer Energy Efficiency? Energy efficiency is a major consideration when you are choosing lights for your home. By switching your conventional lights to LED bulbs, you will be amazed at your energy savings on a monthly basis. LED lights offer efficiency ratings that are comparable to other high efficiency products, such as HID light bulbs and florescent lights. In fact, many LED lighting solutions exceed government standards for longevity and energy efficiency. When you are thinking about installing LED lights, it is a good idea to research how long these incredible products will last. In general, you can expect your LED lights to last for up to 50,000 hours. By contrast, a conventional incandescent bulb usually offers about 1,000 hours. With LED lighting throughout your home, you will find that you need to change your bulbs very infrequently. Your bathroom is one of the most central rooms in your home. If you are seeking a great way to transform your dated bathroom space into a stylish and calming oasis, you may want to consider replacing your bathroom lights. Bathroom lighting can have a major impact on the overall mood of your bathroom. By working with a company offering lighting San Jose , you will be able to pick out the perfect bathroom lighting for your home. From recessed lighting to pendant lighting and more, the sky is the limit when it comes to your bathroom lighting design. Here is a look at some inspiration and ideas for your bathroom lighting fixtures. The bathroom mirror should be an inviting place for your daily routines. When you are planning a bathroom lighting project , you should be sure to light the area around your mirror carefully. For example, lighting directly above the mirror could cast harsh shadows on your face. Soft mirror lighting is sure to provide your mirror with the optimal look and feel. Along with creating soft light around your bathroom mirrors, you should also be sure consider your task lighting. Task lighting along your counters or sink spaces can add ease and convenience to your daily routine. To transform your bathroom into a tranquil space, you may also want to consider attaching your task lights to a dimmer switch. This will allow you to adjust your lights according to your mood and the time of day. A final factor to consider when you are choosing bathroom lights is where you would like to create focal points in your bathroom. For example, a carefully placed pendulum light or chandelier can draw attention to your bathtub. A company specializing in lighting design can help you choose the best pieces to make your bathroom really stand out. With the summer season on its way, now is the perfect time to make sure that you are ready to beat the heat. If you are looking for an energy-conscious option for your home cooling needs, you may want to consider a ceiling fan installation . New ceiling fans can be incorporated with your overall lighting design to create a beautiful accent for the interior of your home. When you visit a lighting showroom in San Jose, you will have many different ceiling fans to choose from. Depending on the style of your home, you may want to go with a fan that is classic, contemporary, or modern. For help choosing lighting fixtures and fans, be sure to work with a company specializing in indoor and outdoor lights in San Jose. With services from a lighting and ceiling fan expert, you will be able to choose pieces that offer both function and style for your home. Which Lighting Fixtures Work Best with Your Décor Style? Lighting is an essential feature to consider when you embark on an interior design project. By choosing a light fixture that matches your existing décor, you will be able to get the most out of your interior space. To choose lighting fixture that match with your décor, you should first evaluate the overall style of your room. From eclectic styling to classic or refined designs, there are many different lighting fixtures that will be best suited to your decorating scheme. For example, your kitchen light fixtures can be selected to match the color and style of your cabinets and countertops. A company offering lighting San Jose will be able to work with you to choose the perfect fixtures for your home. To take a closer look at choosing light fixtures to match your style, watch this video from eHow. The kitchen is a central gathering place for many families. Whether you are planning a new home construction project, or are looking to rejuvenate your existing space, new kitchen lights can go a long ways towards transforming your space. When you are choosing kitchen lighting, it is important to consider both function and style. A company offering lighting San Jose will be able to work with you to choose the right kitchen light fixtures for each area of your kitchen. To help you get the most out of your kitchen lighting project, here are some tips for choosing new kitchen lights. 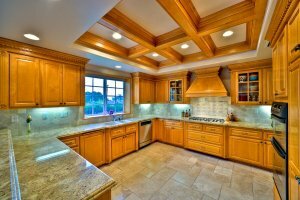 As you are choosing your new kitchen lights , it is very important to plan out which areas of your kitchen will be used for meal preparation and other activities. Focused task lighting in these kitchen spaces will ensure that you have plenty of light to cook, clean, and prepare meals for your family and friends. In addition, task lighting will add brightness and dimension to your room. The layout and size of your kitchen can have a major impact on your kitchen lighting design. For example, a smaller kitchen may work best with smaller fixtures and recessed lights under the cabinets and in other spaces. If you are working with a kitchen that has an open layout and high ceilings, you may want to accentuate these features using pendant lights and other statement fixtures. While statement lights, such as chandeliers or pendants, can provide a fun accent for a kitchen space, it is also important to incorporate other forms of lighting. For example, recessed lighting can be used to bathe your entire kitchen space in an even wash of light. With recessed lighting, you can make sure that you have the right level of brightness to provide your kitchen with a fun and cozy atmosphere.